Chronic Pain and Opiate Addiction | What Options are Available for Help? What Are the Dangers of Opiate Addiction and Pregnancy? What Are the Stages of an Opiate Addiction? The evolving scope of the opioid crisis has created many healthcare and public health problems in the United States. One of them is the question of chronic pain and opiate addiction: What should doctors do for patients who have long-term, severe pain, for whom dangerously addictive opioids might be the only solution? What can patients do to mitigate their distress and avoid addiction to their medication? The Institute for Chronic Pain explains that chronic pain begins with a severe injury or an illness. If the pain from this problem lasts for more than six months, then it meets the medical definition of chronic pain. The longer the pain persists, the more likely it is to cause complications, which exacerbate the pre-existing pain. 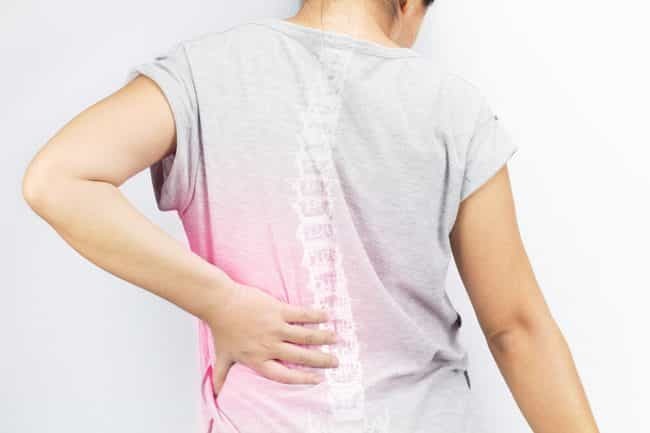 The result is chronic pain syndrome, a condition by which the original chronic pain creates secondary complications, which makes the original pain worse. The secondary complications are usually related to the physical and psychological discomfort of being in constant pain. For example, people with chronic pain syndrome will tend to have sleep problems or deal with persistent fatigue; this, in turn, can lead to irritability, agitation, and depression, from which come guilt and even fear. Some have to quit their jobs because they cannot function anymore, and some have financial problems because of time off work or the cost of medication and physical therapy. Chronic pain will also affect family, social, and academic obligations, causing patients to miss important events and deadlines. All this comes together to create a general state of stress for the patient. The stress itself compounds on the original pain because stress affects the nervous system, making it more reactive. The initial source of the pain sends electrochemical signals along the central nervous system (CNS) to the brain (itself a part of the CNS). The brain interprets the signals as pain, which is normal and healthy functioning. Stress, however, makes the whole central nervous system more sensitive, amplifying the impact of the signals, giving the perception of increased pain. An open letter from a chronic pain patient covers many of the effects that living with chronic pain can bring about. In some ways, chronic pain is an invisible condition, and it is commonly misunderstood by people who do not know what it is. For example, the pain is always present, even when the patient is happy or not showing any outward sign of discomfort. Some days are better than other days, but the pain is still there. Chronic pain obviously limits physical capabilities, and this can change on a day-to-day basis. Standing for 30 minutes one day is no guarantee that this will be possible the following day, and it does not mean that the pain has receded in any way. Patients themselves are unsure of how their pain will manifest itself on a given day; this causes its own confusion and frustration because it is impossible to construct a schedule around fluctuating physical ability and pain. The inability to know from day to day, even from hour to hour, how the pain will present itself or if it presents itself at all “is one of the hardest and most frustrating components of chronic pain,” says the letter writer. Living with chronic pain means having to constantly cancel and reschedule appointments, sometimes at the last minute. This is not malicious on the part of the patient, but simply a representation of how their chronic pain robs them of even the most mundane control over their bodies and movements. In 2016, the Experimental and Clinical Psychopharmacology journal wrote that the use of opioid medication to treat chronic pain “is considered the standard of care in most of the world,” but the application of opioids in this way has been met with controversy and backlash. There are many concerns based on the safety and likelihood of abuse with opioids, which has led to a rise of more restrictive prescription guidelines and a concurrent push to ensure that opioids remain available to chronic pain patients for whom other forms of therapy have proven ineffective. The journal Neuron referred to this as “the doctor’s dilemma.” There is no doubt that opioids are among the most reliably powerful painkilling medications, being used in the treatment of many different forms of chronic pain. The reduction of anxiety, the sense of sedation, and “palpable sense of well-being” that eludes many chronic pain patients provide a benefit that is not seen in any other drug. 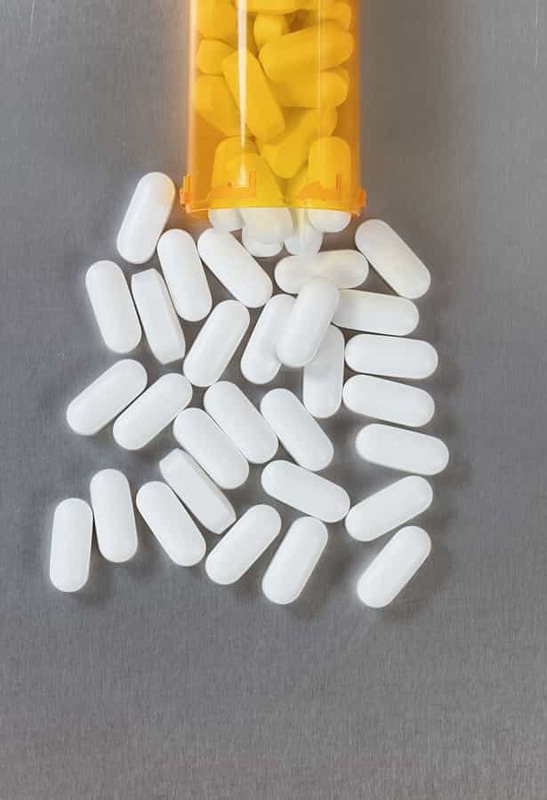 However, with the rates of prescription painkiller abuse and addiction reaching epidemic levels across the country, many doctors are reluctant to prescribe opioids (also for fear of being implicated in an opioid overdose or diversion crime), which causes some patients to fear that the only source of respite from their chronic pain will be taken away from them, for no fault of their own. Other doctors say it goes against their medical ethics to withhold effective opioid medication even for nonmalignant pain. Neuron points out that the opioids that are the most powerful and effective in treating chronic pain are also the ones that are most typically abused to the point of addiction. Additionally, there are no accepted nonopioid analgesics that offer the broadest scope of painkilling properties that the current formulations of opioids have. The argument is made that opioid addiction as a development of chronic pain is rare when opioid medications are used properly. For some in healthcare and public health, the risk is too great, and the issue of addiction “is common among pain patients treated with opioids.” Past research has suggested that long-term opioid therapy for chronic pain has been one of the causes of the general opioid crisis. Some experts say that the adoption of pain as one of the vital signs is what opened the door to powerful medications being widely marketed to both doctors and patients, even though the infamous pain scale is a subjective measurement at best, with a high potential for witting and unwitting abuse. How Widespread is the Epidemic of Abuse? The high potential for opioid abuse is borne from the rates of diversion that have driven the epidemic. In 2009, for example, the Substance Abuse and Mental Health Services Administration found that as many as half a million people started their illegal drug use with pain medication. In most cases, the drugs were taken from (or even given by) friends and family members who had legitimate prescriptions, but were unaware of the health risks or illegal nature of sharing a controlled substance with someone they knew. In other cases, drugs were obtained by forging prescriptions, faking symptoms, online transactions, or purchasing them on the black market. The illegal nature of drug diversion has seen law enforcement step up their efforts to stop and punish people who are using opioid painkillers beyond acceptable parameters. While there is a call to move away from a crime and punishment model, the status quo complicates decisions by doctors as to whether to prescribe opioids to a person who may or may not be in severe pain, who may or may not be abusing the opioids, and who may or may not be addicted to them. There is no clear indicator regarding the overlap between opioid prescriptions for chronic pain patients and the prescription painkiller abuse epidemic. Of the people who are addicted to opioids, government data suggests that less than 20 percent got their drugs directly from a healthcare provider. 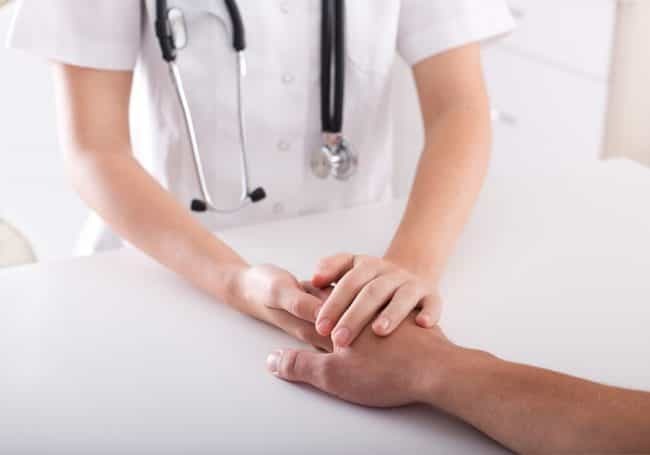 Most of the people who come to physicians with chronic pain complaints have legitimate problems that require treatment, and most physicians want to assume that. 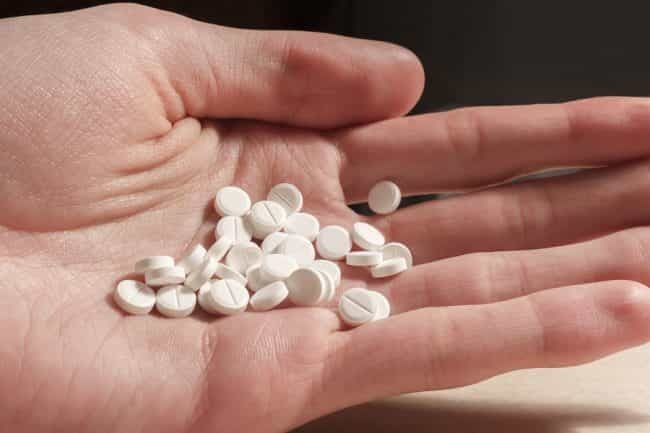 Past research has shown that patients with chronic pain who have never taken opioids have a very low risk of developing an addiction if they receive a prescription. In one study of over 15,000 veterans who had no experience with opioids before the study period, only 2 percent went on to develop a dependence on their opioids. The study (and a similar one) did not have any reported cases of an outright addiction to opioids, only the abuse thereof. It is an important distinction to make. Substance abuse happens much more than true addiction, and there are many cultural, social and legal factors that make up the difference between a substance abuse problem and an addiction. The persistent use of an illicit substance, even when that use negatively affects job, school, family, or wellbeing, falls under the umbrella of substance abuse. An obsessive preoccupation with getting and taking the drug, and using it in high amounts despite a collapse in living standards, is a closer definition for addiction. This is an important difference because it means that there is a spectrum of prerogative when it comes to how much doctors want to prescribe painkillers to pain patients, if the doctor feels that the patient really does need strong opioids to overcome the constant distress. But doctors have to be aware of the possibility of diversion of opioids, even against the patient’s best intentions, because it is not always possible to tell which patient is faking their pain to get a prescription. In July 2018, NBC News wrote that pain patients have had to resort to “begging” the Food and Drug Administration to ease restrictions on opioids to treat their chronic pain needs as well as to find nonaddictive, but effective, treatment options. A statement by FDA Commission Dr. Scott Gottlieb laid out the intentions of the agency: to take into account the needs of chronic pain patients, to consider the issues with opioids, and to encourage drug manufacturers to devise “safer alternatives.” What the FDA wants to do, said Gottlieb, is to avoid the mistakes that led to opioid painkillers being abused and the addiction epidemic that followed. The challenge is to come up with better practices that still cover legitimate pain patients, especially for people for whom the standard short-term prescriptions are insufficient. There are cases, Gottlieb acknowledged, where the opioids have to be administered over long periods of time, and where the opioids may be the only medications capable of providing relief from chronic pain. The question of the hour is, is this worth the risk of addiction? For desperate chronic pain patients, the answer is an easy “yes.” A woman who has multiple conditions that cause chronic pain, including fibromyalgia and postherpetic pain, said that “suicide is always an option.” A former emergency room nurse, diagnosed with adhesive arachnoiditis (an inflammation of the membranes that protect the nerve endings in the brain and spine), told the FDA hearing that doctors refuse to accept her as a patient because they are afraid of being implicated for diversion and addiction. She and others blame the Centers for Disease Control for recommending tighter restrictions around opioid prescriptions and begged the FDA to “correct the CDC’s egregious mistakes,” in the words of a spokesperson for the Alliance for the Treatment of Intractable Pain. As many as 90 percent of the patients who attended the FDA meeting said they had tried opioid alternatives, and 80 percent said they used opioids to manage their pain. Methods like dietary supplements or herbal remedies, medical marijuana, complementary therapies like acupuncture or massage, and even counseling and psychological treatments are not covered by insurance, forcing patients to stick with opioids that many say their doctors are unwilling to prescribe. The Washington Post explains that the medical community has struggled for decades to balance the needs of the 25 million Americans who are affected by chronic pain with caution about opioid use. In the 1980s and 1990s, as some doctors and advocates pushed for a new understanding of pain tolerance and opioids, and the pharmaceutical industry lobbied hard to address patient pain more aggressively and commercially, the pendulum of how to manage pain swung firmly toward opioid medication. By the late 1990s, writes the Post, the seeds of the epidemic were already sown. The number of prescriptions for opioids like OxyContin and Vicodin to fight invasive, long-lasting pain was higher than ever. It set into motion an increase in addiction rates and overdoses that have outnumbered the casualties of the Vietnam and Gulf Wars, and outpaced traffic deaths. State governments and the Centers for Disease Control have introduced prescribing guidelines to chill the use of the opioids that are being diverted to fuel the drug trade, but an increasing number of patients say that they feel abandoned and victimized because of the demands of their chronic pain. Many, like those who attended the FDA hearing, lament that they can no longer find the care they need that will cover their condition. One woman profiled by the Post said she went through “six months of hell” after her primary care doctor cited a change in clinic policy as the reason she could no longer prescribe opioids for chronic pain. The woman had to go to several pain specialists, all while battling the constant distress and mental health burden, before finding a doctor who lived 20 miles away from her. But even this relief is limited because of the possibility of the clinic being closed down at any time because of the increasingly strict rules about prescribing opioids. Writing in the New England Journal of Medicine, Dr. Nora Volkow, the director of the National Institute on Drug Abuse, points out that the nature of opioids underlies both their therapeutic effectiveness and the potential for abuse; both have to be taken into account when trying to determine how best to serve the needs of chronic pain patients. The fact that opioids create a song sense of reward in patients is what causes most cases of diversion and dangerous use, to the point of addiction. Nonetheless, there are dozens of other factors that contribute to the likelihood or possibility of the worst-case scenario of overdose and addiction, all of which are present to differing degrees, and some of which cannot be accounted or controlled for. 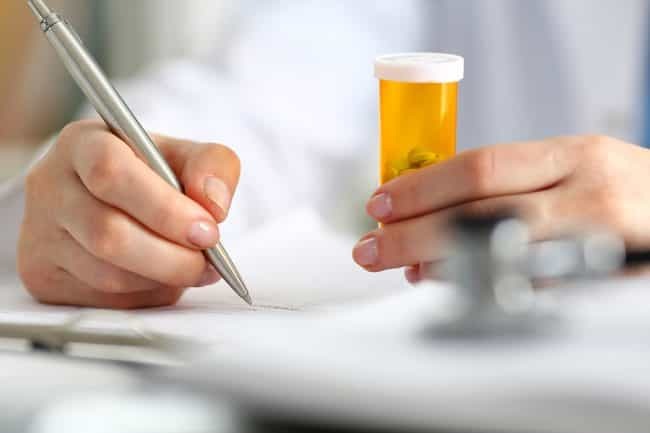 Therefore, writes Volkow, there is “no single or simple change in prescribing behavior” that will adequately mitigate all risks of addiction and abuse while giving chronic pain patients the management they need. What Volkow recommends are strategies like limiting the prescription of opioids down to the lowest effective dose for the shortest effective period of time while still ensuring that the desired painkilling abilities are not impeded. This will entail frequent monitoring and reassessment, which will give doctors and patients the most amount of control to minimize the risks that comes from long-term opioid use with the idea of gradually tapering, and eventually discontinuing, the opioid prescription for patients who “are not receiving a clear benefit” from the therapy, or for those who are wittingly or otherwise behaving in ways that increase the risk of abuse, addiction, and overdose. Should people just accept chronic pain? On the topic of how to control the opioid epidemic while still being attentive to the needs of patients, this is one of the many questions being asked. Past research published in the Pain journal has suggested that patients with chronic pain might be able to better manage their condition by not avoiding or blocking their pain (which is what opioids do), but by learning to live as well as possible under the circumstances. It is a concept known as “pain acceptance,” says The Outline, and it has gained favor among some in the mental health community as a direct countermeasure against the opioid crisis. There is no definitive research or consensus on the idea of pain management, and it is not without controversy. With as many as 8 million chronic pain patients taking opioids for their distress, the idea of convincing so many people to accept their pain is a tough sell. Part of the problem goes to a cultural understanding of pain. Americans claim to experience pain more often and more severely than people from other countries, and with all the medical advancements of the last few decades, the image of “giving up” in the fight against pain represents a rejection of a pursuit that dozens of fields of science and industry, religion, and philosophy have tried to do for millennia: to save us from pain. But The Outline asks if we’ve been fighting the wrong battle for hundreds of years. A number of scientific studies have proposed that people who do not accept pain have a greater chance of becoming dependent on painkillers. The Drug and Alcohol Dependence journal wrote in 2015 that patients who managed to live with their pain, without trying to reduce it or block it, did not experience severe problems with their opioid prescriptions. The researchers writing in the journal noted that “pain intensity was not significantly associated with the severity of problematic opioid use,” which raises the possibility that the degree of pain acceptance and adaptation to chronic pain is more of a risk factor for addiction to prescription opioids than the actual severity of the pain itself. To that effect, people who are more accepting of their chronic pain tend to use less pain medication, according to the results of a study published in the September 2017 edition of the Clinical Journal of Pain. The pain medication did include opioids, and the severity of the pain was not a factor in their decision to use less medication. Unsurprisingly, however, many people who live with chronic pain respond negatively to the idea of accepting their condition. Researchers writing in Pain Research and Management noted that arthritis and fibromyalgia patients they surveyed felt that accepting pain was akin to giving in to their pain and not doing whatever they could to overcome it. Interestingly, many of the patients in the survey were already coping with their pain in ways that “roughly aligned” with the understanding of pain acceptance – simply, living as well as possible, notwithstanding the inconvenience and frustration caused by their chronic pain. However, patients tended not to think of this as “accepting” their pain; they called it “embracing” their pain, “coming to terms” with their pain, or simply “dealing with” their pain. The conclusion is that there is no single way for a person who has a chronic pain condition to accept the pain and live with it on a day-to-day (or moment-to-moment) basis. Some patients have come together in a form of therapy called Acceptance and Commitment Therapy, or ACT. ACT was born out of Cognitive Behavioral Therapy, but unlike CBT, which asks patients to change or eliminate bodily sensations that are beyond their control, Acceptance and Commitment Therapy encourages patients to accept those thoughts, memories, emotions, and sensations. Once done, the therapy asks patients to engage in activities that bring meaning and fulfillment to their lives even as they continue to feel the effects of chronic pain. A clinical psychologist told The Outline that many lives have been lost “in the pursuit of pain relief that may never come,” saying that traditional pain management theory tells patients that they have to manage their pain before they can get on with their lives. Acceptance and Commitment Therapy, on the other hand, tells patients that they can live their lives even if they have chronic pain. The American Psychological Association’s Society of Clinical Psychology has good things to say about ACT and chronic pain. One chronic pain patient said that Acceptance and Commitment Therapy helped to focus her attention away from the pain, so she could get on with her day. The coping strategies entailed finding joy in small moments, notwithstanding her agony. 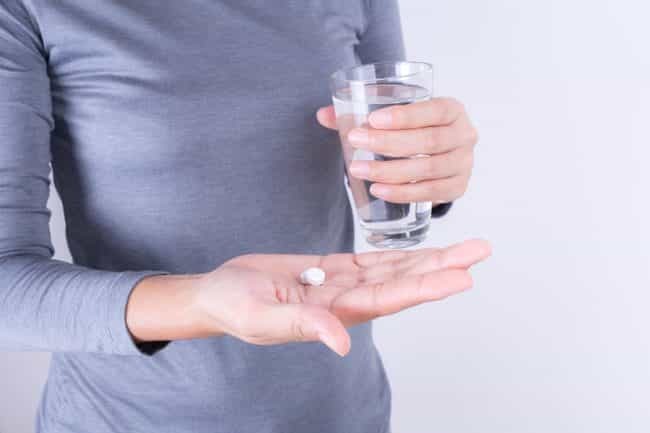 It was better to do the things she enjoyed doing, even though there would be pain, “rather than just do nothing and still be in pain.” ACT helped her discontinue her tramadol use, which caused unpleasant side effects on its own. As with many chronic conditions, the pain is still strong enough to threaten to undo all the hard work, so she and other patients have backup plans: spouses and online support groups, diet and exercise, and nonopioid medications. There are times, she says, where therapy alone is not enough to control the pain. It is unlikely that an equitable resolution will be easily found. As much as public health experts want to bring about an end to the opioid epidemic, advocates for chronic pain patients are quick to veto any suggestion that the solution involves taking opioids – dangerous and addictive, but effective and reliable – away from people who suffer from severe physical distress every day of their lives. The continuing stalemate of chronic pain and opioid addiction speaks to the complexity and tragedy wrought by the national drug crisis.